Soojin: I’m trying my best to understand the "be persistent, but not a pest" idea…obviously, big accomplishments at work would be helpful, but what about books or extracurriculars relevant to your intended field of study, etc.? As I noted above, we really are looking for only significant changes in the information that you submitted in your original application. A new extracurricular or books you’ve read would not be considered significant. A new GMAT score or a promotion or a change in jobs would be. Updates on material changes are helpful, but don’t feel obliged to keep in touch if there is nothing new to share. 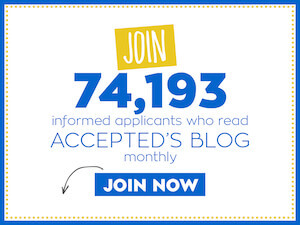 What applicant behavior detracts from a waitlisted applicant’s chances? Excessive contact or contact without content. We need our candidates to understand the timing of our process. Please don’t rush us. You should be seeing a pattern here: Schools want to know about significant developments. They don’t want you to take their time with meaningless drivel. Last updated on April 5, 2007.